Perhaps you go to a dentist regularly for check ups. At your last appointment you had no cavities. Now at this visit, only six months later, you have a large cavity in your back teeth. Do you wonder how it got so large in such a short amount of time? The cavity was there, it just wasn't detected with X-rays or examination. We use the Laser Scanner to zero in on cavities when they are very small and can be removed and packed with a very unnoticeable filling. 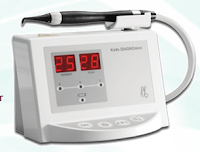 This also allows for proper diagnosis of patient complaints of sensitivity or pain. The corresponding treatment will be accurate in stopping the symptoms and fixing the problem. With the Laser Scanner, you won't have any surprises at your next appointment. We encourage our patients to have regular visits to our hygienist for professional cleanings. 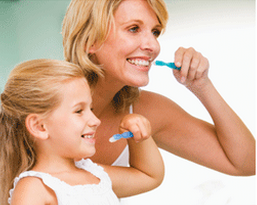 Plaque can build up anywhere on your teeth, even with regular daily brushing. When it hardens into tartar, it cannot be removed with a toothbrush. If it spreads into the gums, you risk losing your teeth. Recent research has also asserted that gum disease can be part of the reason for diabetes, stroke, and heart disease. So please follow up on our recommendation and have your teeth cleaned regularly! 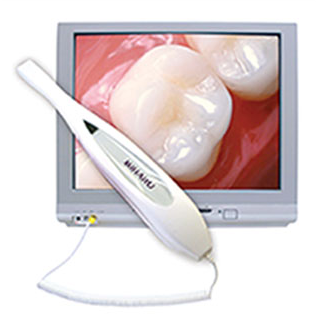 Through technology, our patients can work together with our dentists to have healthy gums and beautiful teeth. 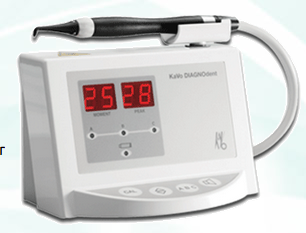 With the intra-oral camera, you can see for yourself what work needs to be done on what teeth. This amazing miniature video camera produces clear and accurate pictures of all your teeth. You will enjoy making informed decisions together with our doctors, creating a bond of teamwork.